This link takes you to the website for the Real Academia Espanola. Use the box on the right side of the screen to search the dictionary. This dictionary seeks to communicate the “essence of every Spanish speaking village." Use the search box or view entries by country. This link takes you to the online version of the multi-volume dictionary published by the Real Academia Española between 1726 and 1739. The WSU Libraries have a variety of Spanish-language books, films, audiobooks, children's books, and graphic novels for the support of Spanish-language acquisition. Please consult the individual tabs at the top of this page to access information on these formats. For more information about studying Spanish language and culture at WSU, please see the School of Languages, Cultures, and Race Spanish Program Page. Covers modern idiomatic expressions, specialized terminology, colloquialisms and provides sample sentences to illustrate use. Also contains an excellent supplemental section which covers all kinds of correspondence and provides sample letters, including email examples. Text boxes illustrate special language considerations, such as the use of the verb “hacer” and expressions for talking about the weather. A great resource for language students as it includes full explanation of words and their use. Also provides coverage of the international varieties of both English and Spanish. A special feature are the “false friends” boxes found throughout the dictionary to alert language learners to words which may seem to translate easily from one language to the other, but which however have distinctly different meanings. Entries also highlight idiomatic expressions and proverbs. 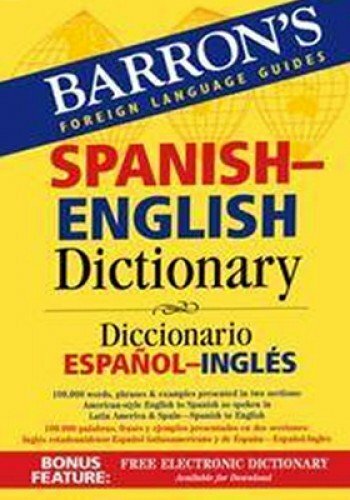 A “universal and historical dictionary of the Spanish language”, providing extensive etymological background for each entry. Includes literary examples of use from over 150 authors, from the medieval to the contemporary period. Provides in-depth coverage of the vocabulary as well as a wide range of idiomatic uses and expressions. Also includes hundreds of illustrations and specialized terminology for the sciences, sports, business, law, politics and journalism. 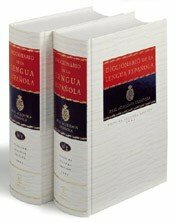 An invaluable resource for both the linguist and the serious learner and user of Catalan, this two-way dictionary contains 36,000 entries that provide phonetic transcriptions, dialectical variants, examples and expressions to aid comprehension. Also included is a section covering 30 practical situations that you may find yourself in as a tourist, from checking out of a hotel, to ordering food at a pastry shop. Provides the Spanish equivalent to many common English idiomatic expressions. “El modismo es la alegria del idioma, el color o la sal, o como se le quiera llamar” – from the title’s preface. Diccionario de autoridades. by Real Academia Española. A facsimile copy of the 1726 dictionary published by the Real Academia Española. Diccionario de construcción y régimen de la lengua castellana. by Rufino José Cuervo; Instituto Caro y Cuervo. This dictionary contains very detailed entries which might be particularly valuable for etymological study. 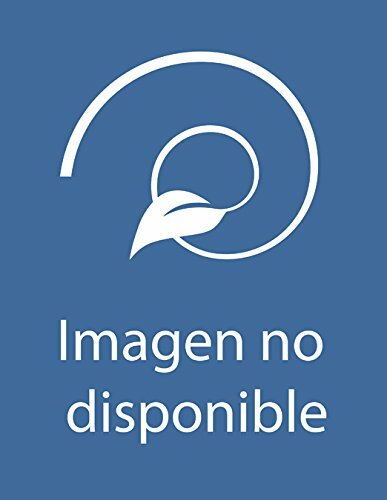 Diccionario histórico de la lengua española. by Real Academia Española.